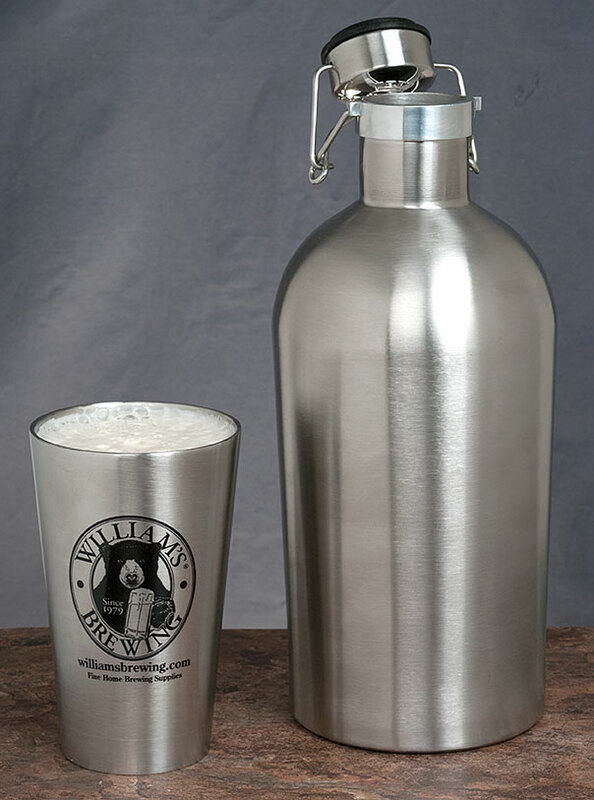 This 64 ounce Ultimate Growler features vacuum insulated double wall 304 stainless steel construction, and holds cold (and hot) temperatures better than any other growler design. It will keep beer cold for hours. 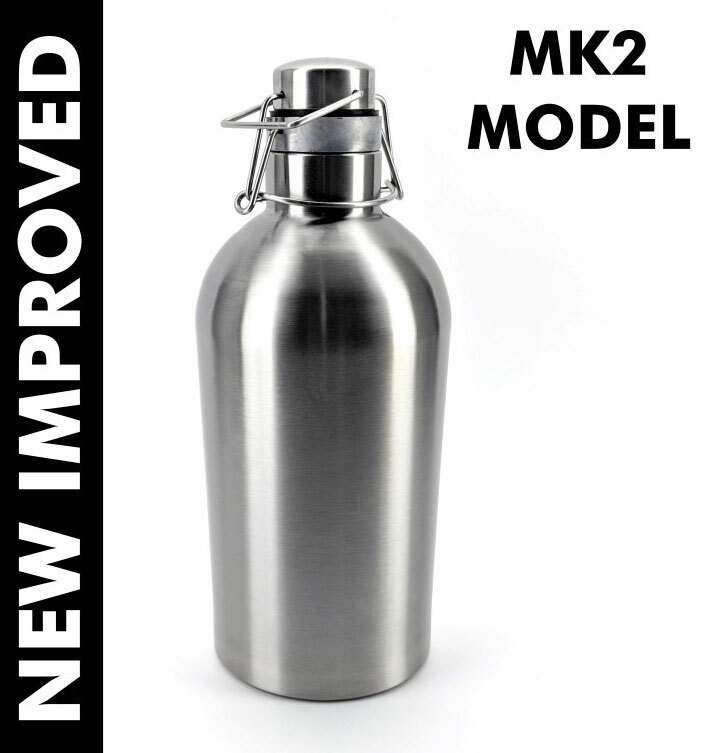 Features a secure clamp on lid with silicone rubber seal for a more positive pressure seal than screw on lid growlers. The ultimate growler for beer on the go. 12" tall, 5" wide. Also see our Ultimate Growler Dispening Head (item Q32) to turn this into a minature kegging system. Can these growlers be used for carbonating/conditioning with priming sugar, as if they were a keg? In theory yes. The pressure relief valve is set at 15 PSI, so pressure over 15 PSI cannot build inside the Ultimate Growler unless you remove the dispensing head and go with the regular sealed wire bale lid.